Power. That ever elusive ability to absolutely direct, or wholly influence, life’s course of events or, more importantly, the behavior of others. Deep in our soul’s, we know that we can never really have it. We don’t understand why such power eludes us, but the truth of our inability to rule our destinies, and the destinies of others, does not detour us from chasing after it. Power — one of humanity’s most addictive vices. So, why is power so attractive to us? What is it about the human spirit that makes mankind pursue it so vigorously? I honestly believe it’s because God has placed that desire in each person, but because of mankind’s being disconnected from Him that desire has gone amuck and causes us to act in a cancerous manner. Cancerous? Yes, cancerous — allow me to explain. The human body is made up of trillions of cells, all of them growing and dividing in a controlled way to produce more cells as they are needed to keep the body healthy. When cells become old or damaged, they simply die off and are replaced with new cells. Scientists have tried to confirm an exact number, regarding just how many cells make up the human body, but to date they cannot confirm an exact count. Now, each cell has a specific coding programed into them, known as DNA (Deoxyribo Nucleic Acid). A cell’s DNA defines what it will do, or accomplish. However, if any of our cells DNA becomes damaged or mutates, then the result is a cancerous cell. Cancerous cells do not die when they should and do not allow new cells to form when the body needs them. Essentially these cancerous cells are rogue cells behaving in a faulty, or unpredictable way. A cancerous cell, is really a cell gone mad. As these cancerous cells group together, they form tumors. Some of these tumors are malignant and some are not, but all are a result of cells acting outside of their normal coding. By the way, there are approximately one-hundred different types of cancerous diseases, each named for the organ for which they originated (ex. : colon cancer begins in the colon, lymphoma begins in the lymph nodes, etc. ), but all cancerous diseases begin at the cellular level. So, what does a cancerous cell have to do with our addiction to, and the pursuit of, power? To answer I must first explain one other statement made earlier. I must explain why I said God has placed into humanity a desire for power. Read with me from the first chapter of Genesis, verse twenty-six, which states: “Then God said, ‘Let us make man in our image, in our likeness, and let them rule over the fish of the sea and the birds of the air, over the livestock, over all the earth, and over all the creatures that move along the ground.’” According to Scripture humanity was created to rule, to have power over, to dominate all the earth and its inhabitants, but we were to do so corporately, together, and do so under the perfect guidance of our Creator. So, what happened? What went wrong? Two things. First, sin entered into an angel’s heart. Lucifer (a.k.a. Satan, or the Devil), God’s most wise and most beautiful cherub (Ezekiel 28:12b), decided he could rule over all of creation better than the great I AM (Isaiah 14:13-14). The result was a revolt, led by Lucifer, and when that short lived rebellion was done he, and one-third of heaven’s angelic hosts, was hurled to earth (Isaiah 14:12; Luke 10:18; Revelation 12:3-4 & 7-9). Lucifer was no longer a cherished guardian cherub (Ezekiel 28:14a), he was now Satan, the chief demon of demons. Satan, who no longer had any authority in heaven, now saw the chance to gain authority in another kingdom. Sure, it wasn’t as grand as heaven, nor did it have the breadth of all of God’s creation, but it was convenient. This kingdom was where Satan was forced to begin his punishment, apart from God, and it was home to one of Yahweh’s most cherished creatures — humanity. This kingdom was earth, and Satan could only take over if mankind (Adam and Eve) relented their authority. So Satan devised a plan. The Devil decided that he would trick humanity into abdicating their rule of earth to him. Satan, having the power to make himself appear as anything he wished, decided to become as a serpent. Serpents were common on earth and humanity would not question its being there with them. So, making himself as a serpent, Satan began working out this diabolical scheme. This master demon chose to work his scam on the female of the species, known as Eve. I would guess that Satan did so, because the female was created by God, from a rib of the male of the species (a.k.a. Adam or “Man”), and learned most of what she knew from Adam concerning their purpose — sort of secondhand knowledge, if you will. Not to mention the fact that Eve’s name meant “Life,” and by attacking humanity through her Satan would bring death to her, and mankind’s future generations. Also, if the Devil tried to deceive the male (who was created by God, Himself, and directly taught concerning His statutes), he might have been met with more complications. These complications could have resulted in failure. Satan, knowing this, goes to work on Eve and begins to get her to reexamine the powers she, and Adam, were told they had, by God. Mankind’s powers, to recap, were to rule over the earth and its living creatures, but another inferred power was that humanity had been given power over death. This ability to avoid death was only available to them as long as they refused to eat from a particular tree; a tree that existed in the very center of the garden that God had placed them in. This plot of land was known as the Garden of Eden, and that became the stage for Satan’s attack and the tree at its center would be his bait. You see, sin is what disconnects us from God. Sin keeps us from fulfilling God’s original intention. Sin causes our spiritual “DNA” to get recoded and go mad. Sin is why Satan, and a third of the angels, thought they could conquer God. Really!? Talk about somebody going mad! But less we forget, sin is what caused us to doubt God’s promises and abdicate our rule of earth to Satan and his minions, once they came after our home. Sin is the reason power has become the addictive vice that it is, for both demons and humanity. Sin reprogrammed Lucifer’s, a third of the angel’s, and mankind’s purpose from God’s original design. This is why I related mankind’s seeking after power to that of a cancerous cell. Just as a cancerous cell is out of control, devouring healthy cells and preventing itself from fulfilling its purpose, so too are we out of control when power becomes our god. When we, the human race, care more about power than we do our own planet, our own food and water resources, even ourselves, then madness has indeed set in. When we can devour our earth and its creatures with a veracious appetite of death and destruction, when we can allow humanity to do the same to its self, then insanity has become our motivation. God never intended such perversions from our rule. Mankind was to be responsible stewards of earth and its creatures. A perverse appetite cannot be satisfied. A perverse appetite, fed by death and destruction, is an appetite that must be contented no matter the cost, but never can be. We, just like Satan and his demons, have become cancerous cells willing to destroy ourselves to obtain this ever elusive thing known as power, and only God has the cure — grace! In our next post we will look more deeply at God’s grace, and at varied forms of this madness known as power. The Ten Commandments, starring Charlton Heston, Yul Brynner, Anne Baxter, Edward G. Robinson, Yvonne De Carlo, Debra Paget, and John Derek, is a 1956 epic film that tells the story of the Hebrew’s exodus from Egypt. The Ten Commandments, which was the last film that famed director Cecil B. DeMille presided over, is one of the most financially successful films ever made, grossing over $65 million at the US box office. If you adjust for inflation, this makes it the sixth highest-grossing movie domestically, with an adjusted total of $1,025,730,000 in 2012. The film received seven Academy Award nominations including “Best Picture,” and won the award for “Best Visual Effects.” The American Film Institute (a.k.a. 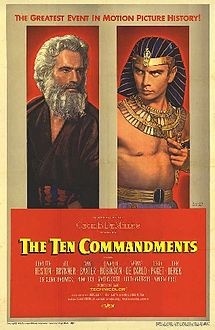 AFI) later voted The Ten Commandments as the tenth best film in the epic genre. As epic as this film is in cinematic history, so too is this story’s monumental affect on man’s history and future. For it’s in this saga of the Hebrew’s exodus from Egypt that we see the formal beginning of God’s salvation and redemption of humanity on display, and where we see a subtle visual of one of God’s earliest of names — El Shaddai. I realize that for most the name “El Shaddai” is more closely connected in our thoughts and minds to the very popular song written by Michael Card and more famously performed by Amy Grant, rather than the story of the Exodus, but grant (no pun intended) me just a moment and I’ll explain the association. “God of the mountains” or “el shaddai,” was a Mesopotamian term that was used in reference of a divine mountain. This name was but one of the patriarchal names for the tribal god of the Mesopotamians. Now in Exodus 6:3, “El Shaddai” is seen identified solely with the Creator — the God of Abraham — and with His name, Yahweh, which is why this particular name of God (El Shaddai) could be derived from the Hebrews experience of seeing God’s fire atop Mount Sinai and from hearing God’s thunder from the Israelite camp at the base of the mountain. It could also explain, in part, the more popular interpretation of the name “El Shaddai” as meaning “God Almighty,” but linguistically this interpretation comes many years later from the English translators of the Septuagint (i.e. the Greek translators of the Old Testament). These English translators determined that “Shaddai” came from “shad-ad,” a root verb that means “to over power” or “to destroy.” It’s also seen translated in the Latin Vulgate as “omnipotens,” which is where our English word “omnipotent” comes from. Yes, God is everywhere. Yes, God is all-knowing, and all-powerful, therefore God is Almighty. But while this is very true of God, I don’t think this quite reveals the essence of what this name really means. Also, long before Moses and the exodus of the Hebrews from Egypt, God makes use of this very name when introducing Himself to the Hebrew patriarch, Abram. In Genesis 17:1, our Creator used the name “El Shaddai” when He confirmed His covenant with Abram, and his descendants, and renames Abram to Abraham. The more popular name of “God Almighty” certainly could apply here, as God is mighty enough to make this promise and fulfill it, but there appears to be more implied here. Especially if “Shaddai” is seen as a compound word within a compound name. 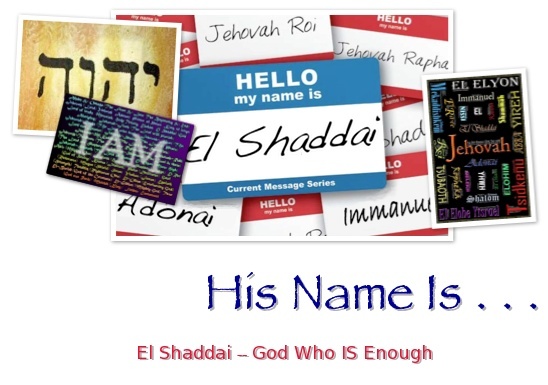 “El Shaddai” is one of 27 compound names known as “El constructs.” The names are formed by combining a shortened form of the name “Elohim,” meaning “Deity,” with some other name or title, in this case the name “Shaddai.” Split apart “Shaddai” and we get two smaller words: “sha,” which means “who,” and “dai,” which means “enough.” So, a closer look at the Hebraic practice of shortening a name of God (El from Elohim), and combining that shortened name with a descriptive attribute (i.e. Shaddai), and we begin to see that “El Shaddai” could translate as “God who IS Enough.” Pause and ponder that name for a moment (selah) — God who IS Enough! What an amazing revelation of God to Abraham, and to us. Yahweh wasn’t just making us aware of His might in this covenant. God was saying He was, is, and always will be sufficient to fulfill His promises to us, in us, and through us. Yahweh, is mighty! Yahweh, is enough! So, how about you? Is God your strength in hard times, your foundation of truth, your sustainer in all you need, both physically as well as spiritually? Is God enough? Do you allow God access to all areas of your life? Do you really have a deep enough relationship with God; one in which you can call upon El Shaddai in confidence? Do you really know “God who IS enough”? Cecil B. DeMille‘s The Ten Commandments Copyright © 1956 Paramount Pictures. All Rights Reserved. TM ® & Copyright © 1999 by Paramount Pictures. All rights reserved. Robert “Bob” Hartman, is possibly one of the greatest songwriters to have graced Contemporary Christian Music over the last 40 + years. His ability to take a passage of Scripture from the Bible, or to take a strong lyrical story based on biblical content, and apply that to a melody that is both enjoyable and awe inspiring is uncanny. Robert’s songs are rarely so simple that you can disconnect your mind from what your ears are hearing, as a parent would be able to do with their child’s nursery music. No, Bob’s music commands your ears to take heed and listen. If music can make human ears stand at attention, then that is what takes place when one hears a Bob Hartman song. If you are unfamiliar with Bob Hartman’s name, you will most likely recognize his band’s — Petra! 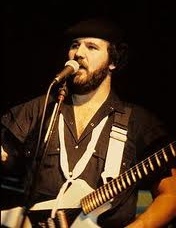 Hartman originally was a member of the Christian rock band known as Rapture, but after the band’s break up in the early ‘70s and a move to Fort Wayne, IN, to attend classes at the Christian Training Center, Robert began to form the Christian rock band we know today as Petra. Won’t cease ‘till I’ve been made whole. To know You; to walk with You. To please You in all I do. And Your faithfulness shall endure. Adonai, Master of the earth and sky. You, alone, are worthy — Adonai! Let Your majesty be magnified in me. Adonai, You are an endless mystery — Adonai! Lift me up from mud and mire. 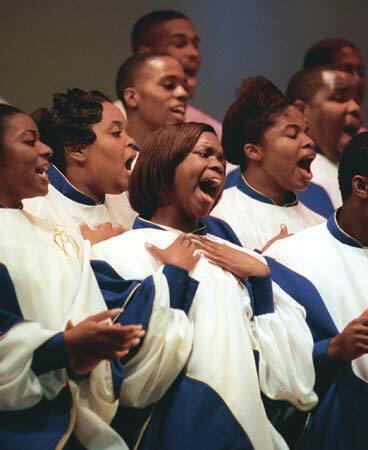 Let me dwell in Your righteousness (repeat chorus). Speak the word and they will be still. Is a longing only You can fill — Adonai (repeat chorus). “Adonai” is a Hebraic name for God (Elohim/Deity), and is the emphatic plural of the title “Adon.” Adon, which means “Lord” or “Master,” is generally the title given to men of authority or angels but at times was also used when referring to Yahweh. So, since Adonai is the plural form of Adon, its meaning is interpreted as “Lords” or “Masters.” When the emphatic plural is formed in Hebrew using a singular possessive ending (example: “my Lords” or “my Masters”), it always refers to God. Our Creator, the triune God, was recognized by the Hebrews as the “Lord of Lords” (Adonei ha’adonim) or Lord Yahweh — Adonai Adonai! (noun) someone or something having power, authority, or influence: lord of the sea | lords of the jungle. A master or ruler: our lord the king. (verb) act in a superior and domineering manner toward someone (lord it over). (noun) 1 – a man who has people working for him, esp. servants or slaves: he acceded to his master’s wishes. A person who has dominance or control of something: he was master of the situation. 2 – a skilled practitioner of a particular art or activity: I’m a master of disguise. A great artist, esp. one belonging to the accepted canon: the work of the great masters is spread around the art galleries of the world. (adjective) 1 – having or showing very great skill or proficiency: a master painter. Denoting a person skilled in a particular trade and able to teach others: a master bricklayer. 2 – main; principal: the master bedroom. Here, in these two definitions for “Lord” and “Master,” we see four key attributes to understanding why God the Father, God the Son, and God the Holy Spirit is Adonai. First, our Lords, our Creator has power (Deuteronomy 8:17-18), authority (Matthew 28:18), and influence (Psalm 2:7-9; Jeremiah 28:14) over all of His/Their creation (Psalm 89:7-11). Yahweh is the ruler over all of it. Whether we accept His authority, or not, doesn’t matter — God is our Lord — Adoneinu! Second, God is sovereign, superior, and does dominate over all (2 Chronicles 20:5-6; Psalm 89; Proverbs 8:15-17). Just because we are in a time of grace, and are not seeing God’s righteous wrath displayed in the way mankind saw it displayed in the Old Testament, does not mean that Jehovah isn’t in control. It doesn’t mean He is inferior, or weak — God is the Lord of Lords — Adonei ha’adonim! Which brings us to our third attribute, we are called by the triune God to serve Him. Almighty God’s mercy allows us to choose to serve Him (Joshua 24:14-15; 1 Peter 4:1-11), for now, but make no mistake — there is coming a day — Yahweh will reveal the truth of His dominance, His control, and all of His majesty will be revealed (Philippians 2:9-11; Revelation 20:11-15) to all of His creation! It’s on that day that every man, woman, and child will bow before their Creator and proclaim Him/Them as Lords, Masters — Adonai! Lastly, our fourth attribute, God has great skill and proficiency over all people, places, and things. Creation is our Creator’s testimony of this fact (Genesis 1-2; Psalms 19, 40:7-11, 139:13), as is man’s ability to learn and improve his physical state (Exodus 4:10-12; Leviticus 1-27). For it is by Jehovah’s skill in creating and His ability to teach that empowers the creativity and ingenuity of humanity — God is the Lord Yahweh — Adonai Adonai! 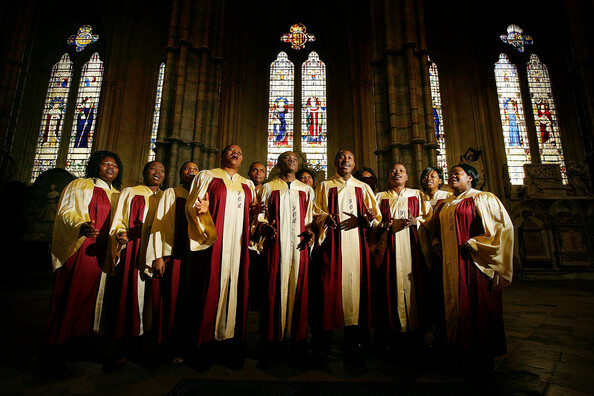 Praise, Almighty God — Adoneinu — You are the master of the earth and sky. Only You, Lord God, are worthy of being called “Master.” Devine Creator — Adonei ha’adonim — let all of creation testify, and let Your majesty be magnified in the spirit of humanity; be magnified, especially, in me. Lords, Masters — Adonai — You are an awesome, majestic, endless mystery. Adonai Adonai! Adonai lyrics and music written by Robert “Bob” Hartman. 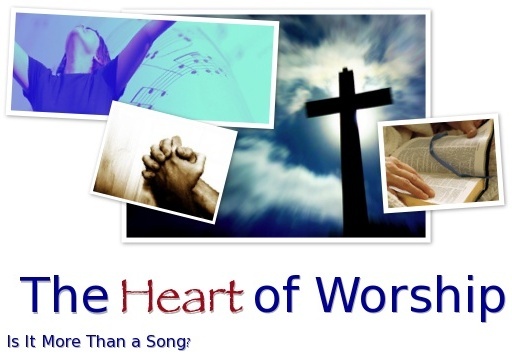 Lyrics based on Genesis 15:2, Matthew 5:6, Hebrews 12:29, Psalms 40:2. Copyright © 1985 Star Song Records/A&M Records.